Bold and ferocious, but possessing infinitely eerie depths, both the DJ sets and productions of Manchester staple, Djinn, have become essential listening in the brooding underbelly of drum & bass. The last decade and a half have seen Djinn transform into a stalwart of the Northern scene, a regular at London’s revered Rupture club nights, and an increasingly sought-after name internationally, having previously toured the US and making her Australian debut in May with a four-date tour. Meanwhile, a mere handful of releases have earned her a permanent residency in the record box of any self-respecting junglist — her highly technical, yet wondrously freeform weapons proving devastating on each and every release. 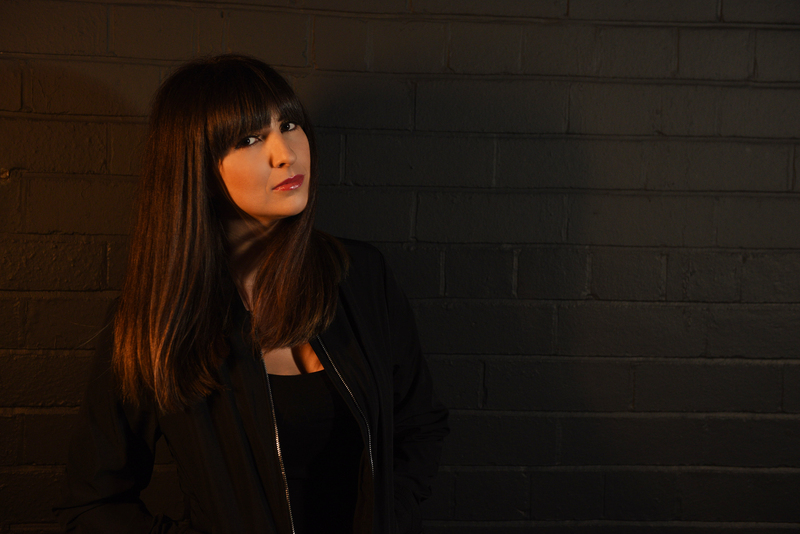 After falling in with a crew of breaks fanatics as a teenager in the early noughties, Djinn cut her teeth with borrowed records, hopping on at house parties or knuckling down for marathon sets with friends, taking every opportunity to perfect her craft. 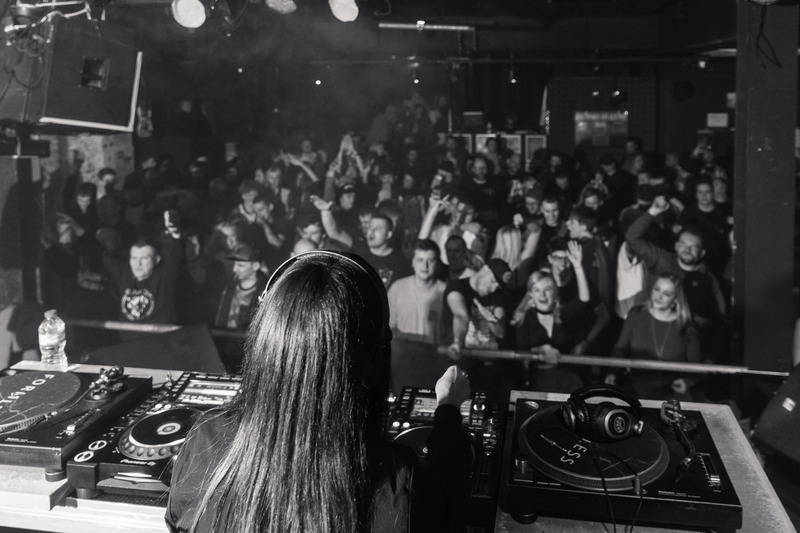 As the decade progressed she made forays into drum & bass, and the then sound du jour, dubstep — but in the end, it was the rapid-fire rhythms of the former which prevailed. There’s a natural soul to breaks too, she says, a live feel and ability to twist on a hairpin that enables her to keep things interesting and unpredictable. “Some of them are a little bit crusty and a bit dirty,” she adds, “and obviously you wanna clean up the break but you don’t wanna take that character out of it.” In the studio, Djinn arranges her breaks in audio, before freestyling with double hits, reversals and time-stretching. Then, using a midi controller, or, more recently, the XY-configured touchscreen of a Kaoss pad, she records herself manipulating her edits in real time using a range of filter and distortion FX. Djinn relates her experimentalism to being somewhat like jazz; “But then I always have to come back to that groove otherwise it’s not coherent, it’s just a load of weird sounds together,” she continues, breaking out into rapturous laughter, as she does often during our chat — her infectious enthusiasm and positivity both mimicking and contrasting the intensity of her tracks. This year she’s got tracks in the pipeline for Stretch’s AKO Beatz, and hopes to return to Foundation X too. At the moment, however, her upcoming tour and Manchester club night, Formless, are taking priority. Having celebrated its second birthday back in November, the event has already drawn comparisons with Mantra and Double O’s Rupture, although Djinn is keen for Formless to have its own identity. “That’s really flattering cos Rupture is obviously the pinnacle of amazingness,” she says, “but at the same time I think it’s really important for Formless to not be a replication of anything anyone else is doing. And while bookings have included the likes of Source Direct, Dom & Roland and Breakage, Djinn’s own abilities on the decks are certainly a draw on their own. Her radio shows on jungletain.net are verified treasure troves, while her Recognise mix is a rapidly mutating beast of a set, a hour-long crescendo of chaos that evolves from murky rumblings to a typhoon of clusterbomb breaks. “I didn’t want it to just be all Amen breaks for an hour cos the sets that I play, they’re not like that, and when you do that it takes away a little bit of the impact,” she tells us. “I think mixes have to tell a story, that to me is like the ultimate art of DJing. Photos: Press – Miriam Vaughan / live – Gary Brown. Want more? Check out our feature on the new wave of artists reinvigorating jungle. You can also listen to last month’s Recognise mix from boundary pushing techno selector, Identified Patient.